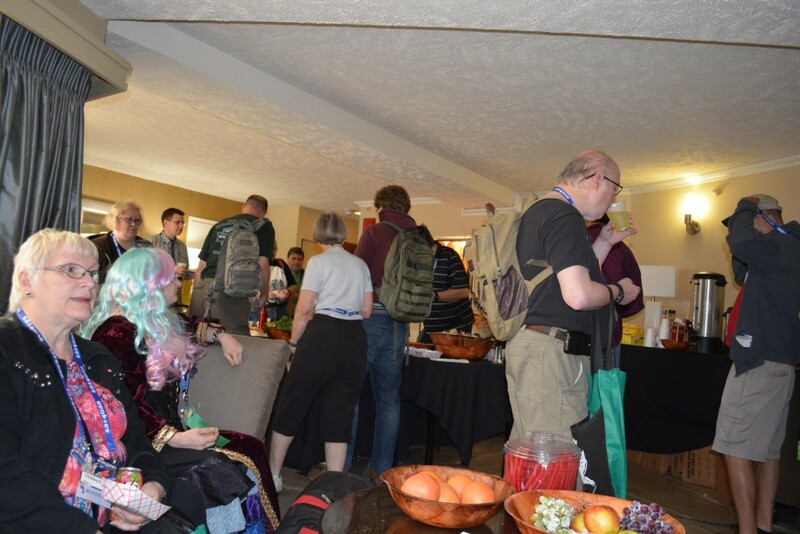 Loscon 42 co-chairs Robbie Bourget and Marcia Minsky have announced that the con is holding a Writing Contest for aspiring writers. Entries are being taken now. Prizes are still being decided. 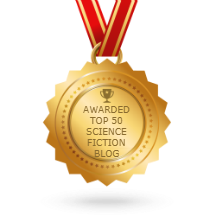 We are looking for your best fantasy or science fiction between 500 and 1000 words; the youth and young adults may supplement their word count with illustrations (each one worth 50 words). We will be having a professional writer (to be named later) judge this competition. All submissions must be received by October 31, 2015. Submit your entry to chairman@loscon.org. Loscon 42 takes place November 27-29 at the Los Angeles Airport Marriott. Guests of honor are Jim C. Hines, Bobbi Armbruster, David B. Mattingly, and Theresa MacWillie. 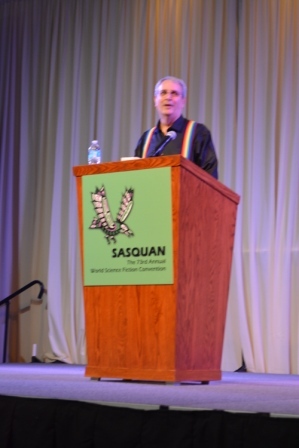 David Gerrold giving his GoH speech. Photo by Francis Hamit. Sasquan Con Suite. Photo by Francis Hamit. 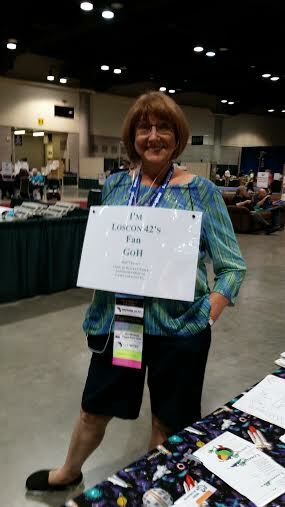 Bobbi Armbruster, Loscon 42 Fan GoH, helping advertise the con. Photo by Marcia Minsky. 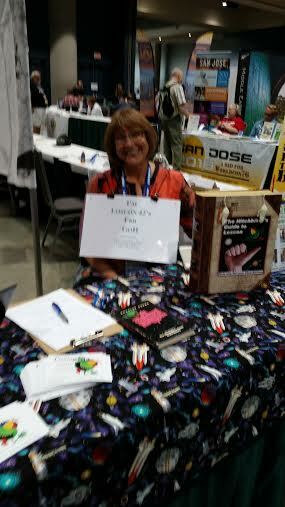 Bobbi Armbruster, Loscon 42 Fan GoH, staffing the con table. Photo by Marcia Minsky. 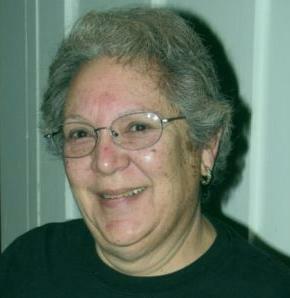 Fans are rallying around Marcia Minsky, past president of LASFS and co-chair of this year’s Loscon, who is in danger of losing her house. Following years of setbacks and unexpected expenses, she has gone into arrears on her Homeowners Association dues. She has been served with papers giving her ten days to settle or her house will be sold from under her. A GoFundMe appeal has been launched with a goal of raising $14,000.